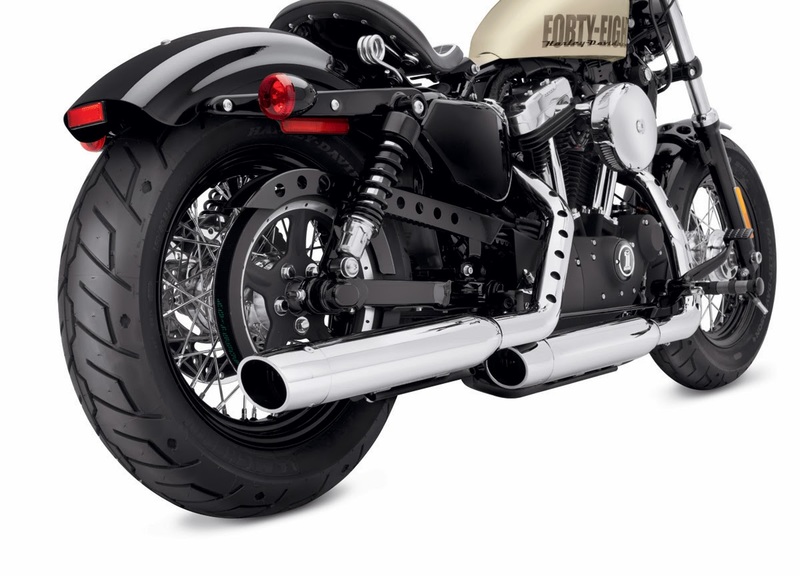 MILWAUKEE - Boost the performance of a 2014 Harley-Davidson® Sportster® motorcycle with the new Screamin' Eagle® Street Cannon Mufflers (P/N 64900208 Chrome, $419.95; P/N 64900209 Jet Black with muffler shield, $459.95) from Harley-Davidson® Genuine Motor Parts and Accessories. The 3.25-inch high-flow mufflers match the head pipes of 2014 Sportster® models and are specifically tuned to deliver improved performance and an aggressive exhaust note that will preserve the peace with neighbors. These slip-on mufflers are available in brilliant Chrome or a heat-resistant Jet Black ceramic finish. 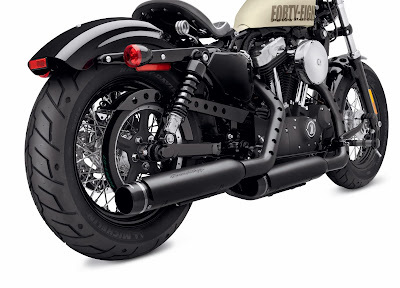 The Jet Black mufflers include Screamin' Eagle® muffler shields. Installation requires the separate purchase of 3.25-inch end caps: Chrome Slash Cut (P/N 65100049, $119.95 a pair) or Jet Black with Screamin' Eagle Script (P/N 65100048, $119.95 a pair). These mufflers are 50-state street legal and EPA stamped.